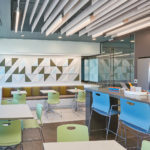 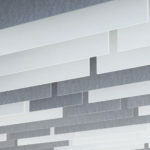 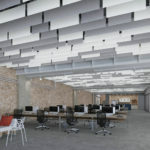 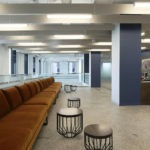 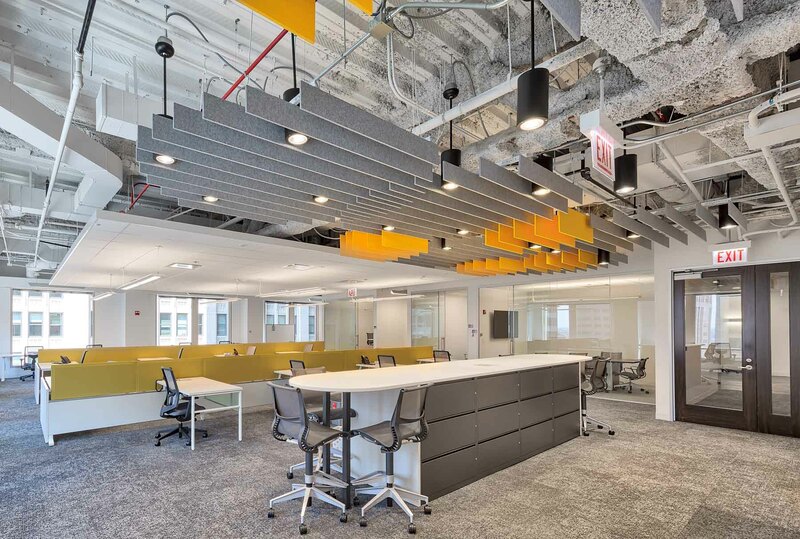 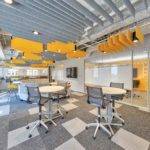 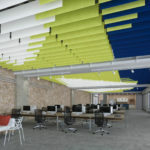 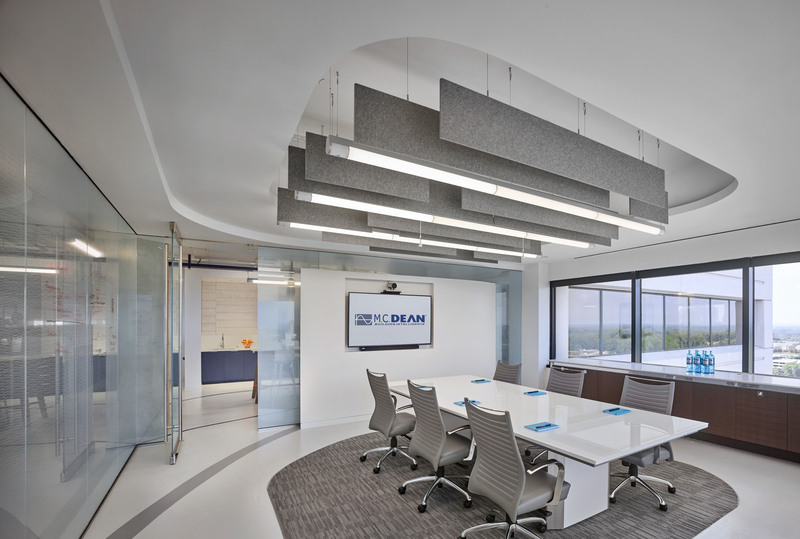 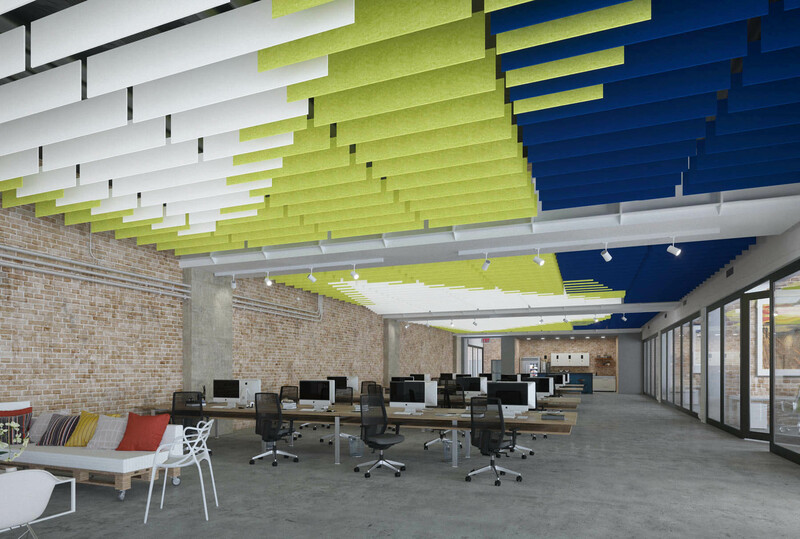 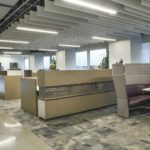 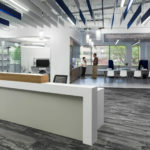 SoundEdge® ceiling system offers flexible building blocks to easily achieve enhanced acoustical performance and design effects. 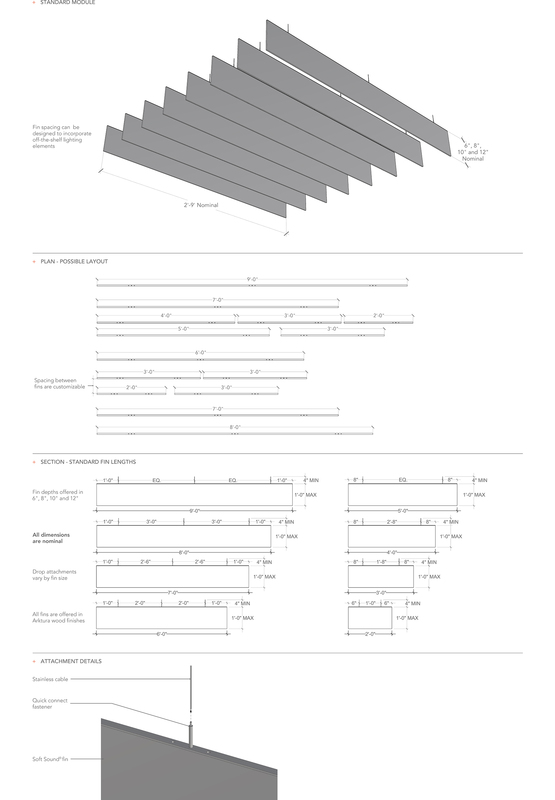 Its modular single fin design, available in a multitude of lengths and depths, is easy to install, and can be mixed and matched in numerous configurations. 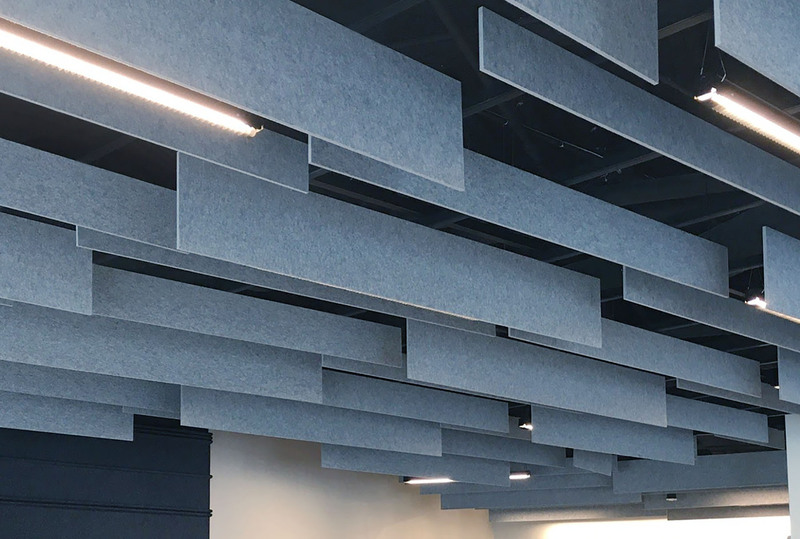 SoundEdge® is constructed from our Soft Sound® acoustical material (100% PET plastic with up to 60% recycled content) to drastically reduce sound reverberation. 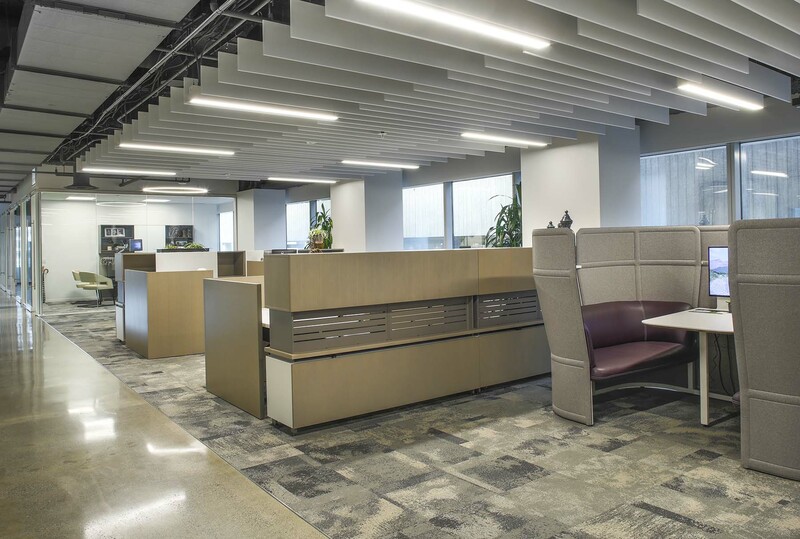 Elements can ship flat-packed, and are available in a variety of colors and finishes, including wood-grain textures. 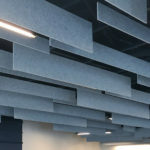 See our Soft Sound® brochure for more information. 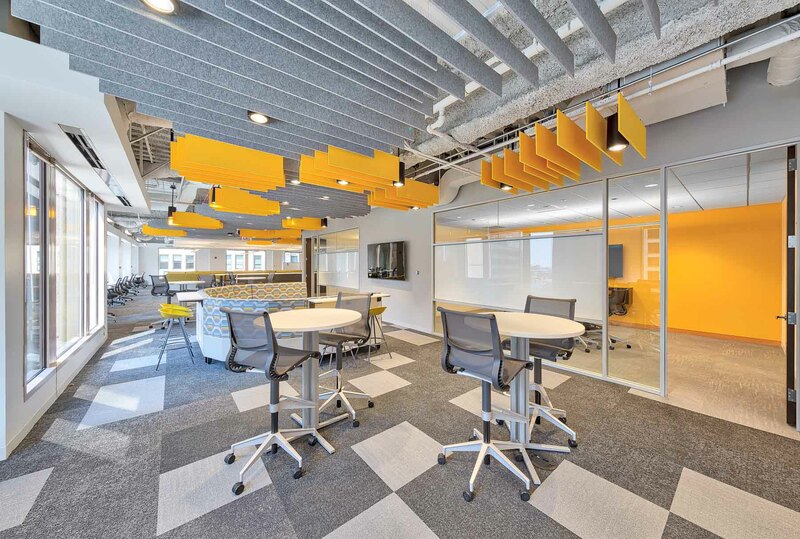 SoundEdge® provides building blocks to create dynamic layouts that fit your vision and the needs of the your space. 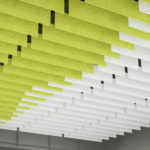 Combine as many or as few of its straight fin baffles as desired for a project with ease. 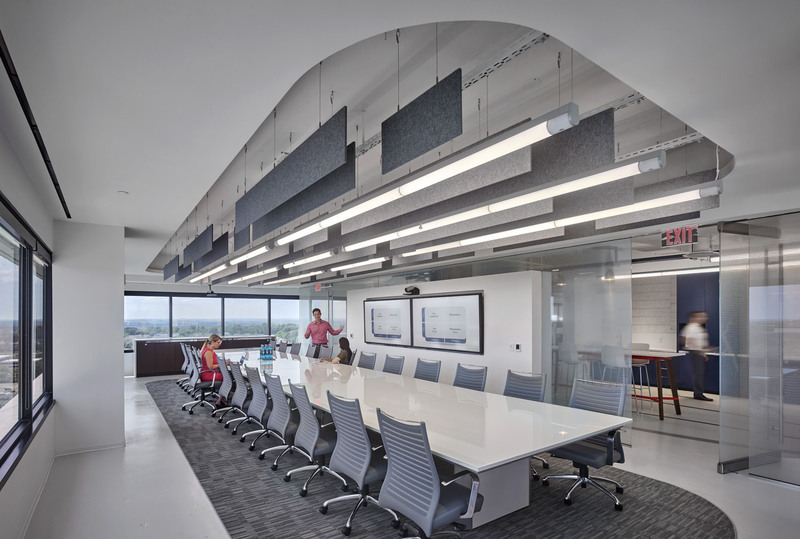 Fins are built from our Soft Sound® acoustical material, which can provide an NRC rating of up to .90. 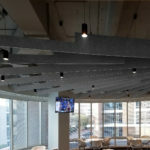 Couple that with the system's angular faces and endless amount of possible configurations, and you can achieve amazing acoustical performance across an entire space or simply over a desired zone. 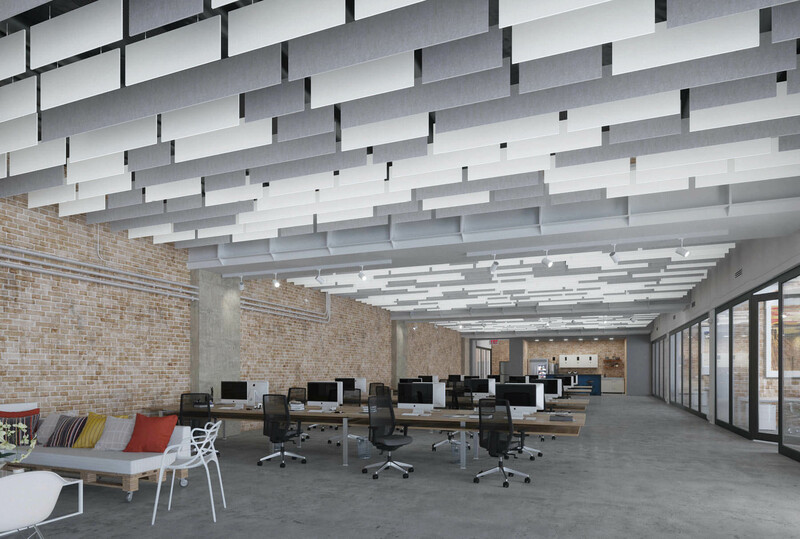 SoundEdge® is highly flexible, allowing it work well with new and existing structural and lighting elements. 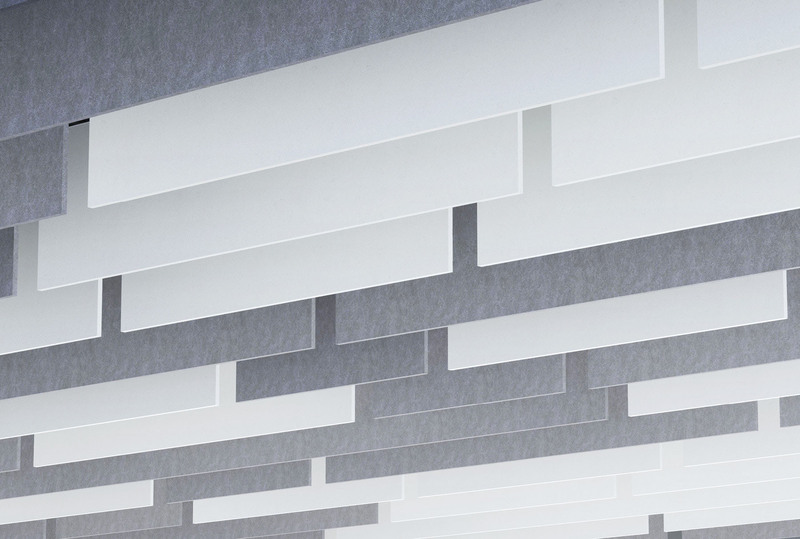 Use it to hide or complement existing structures. 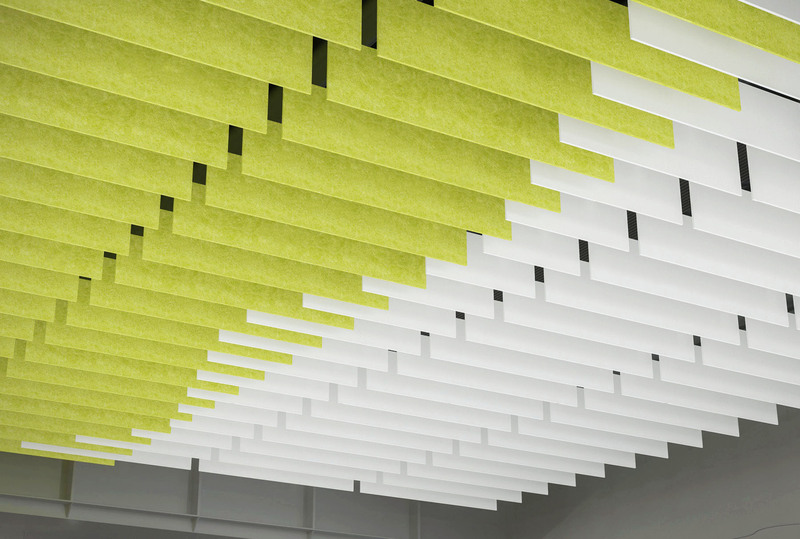 All of our SoundEdge® materials have a high proportion of recycled content and are fully recyclable.